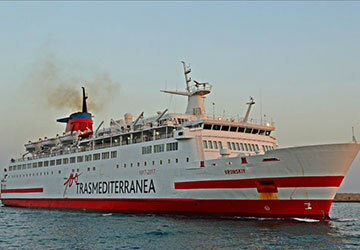 Built in 1978, the Vronskiy is now operating on the Trasmediterranea fleet, after successful periods in the past with companies such as Brittany Ferries and Transeuropa Ferries. Vronskiy can accommodate around 1250 passengers onboard and is able to hold up to 280 vehicles in its garages. Being one of the larger vessels in the fleet, the Vronskiy comes with a variety of amenities for you to enjoy. 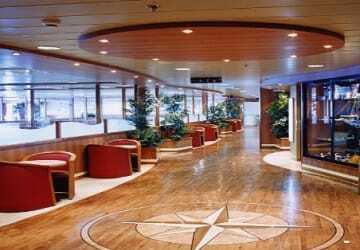 These include a movie area, games room, duty free shopping and much more to help your crossing sail by. 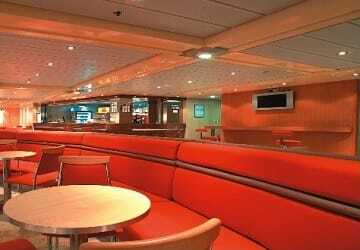 Tourist cabins are available during the ferry crossing so passengers can kick back and relax whilst undertaking your smooth Mediterranean crossing. 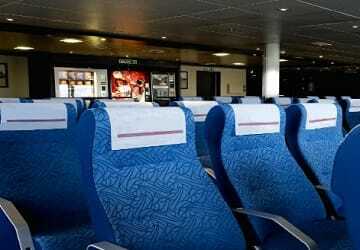 You have a couple of choices in terms of pre reserved seating on the Vronskiy ferry. Options are classed as standard or club, both feature comfortable aircraft type seating. 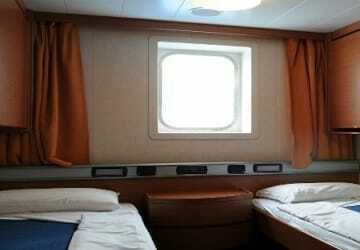 There are also cabins available for those who wish to relax in their own space during the ferry crossing. If you would prefer not to book any accommodation or seating then the bar would be the next best place for you to spend your trip. 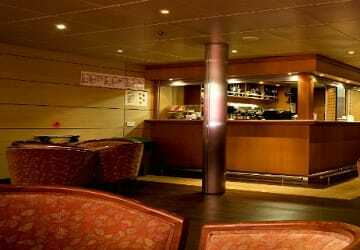 The bar serves a selection of hot and cold beverages with tasteful bar snacks on offer throughout the crossing. Duty free shopping is available for all passengers travelling onboard. You can make use of lower than high street prices on products such as jewellery and perfumes. It’s the perfect place to treat yourself or buy holiday gifts for friends and family. A large choice of magazines, books, puzzles and confectionery are also available. If you are travelling with a pet, there are comfortable and safe kennel facilities available but these will need to be booked in advance. Please Note: Whilst we have taken great care in making our Vronskiy guide as accurate as possible, onboard facilities, services and entertainment may vary depending on the date and time of year that you travel, facilities mentioned may change without notification and ferry companies reserve the right to operate vessels other than those mentioned at time of booking without prior notification.